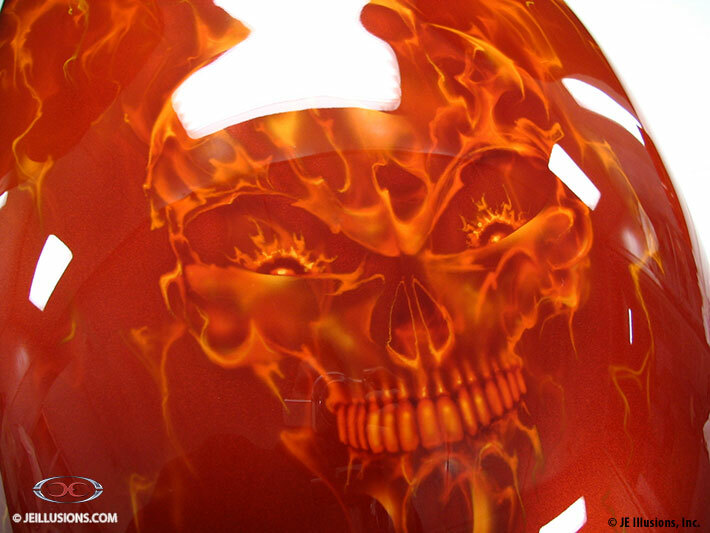 Flames merge into skull on this High Gloss Ultra-Orange design. 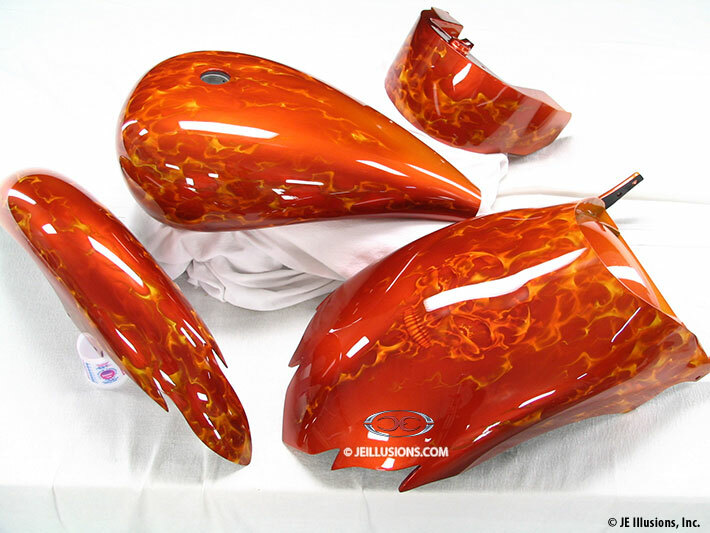 Realistic airbrushed flames, with yellow highlights, cover entire paint job. Very detailed flames form sinister looking skull on fender. 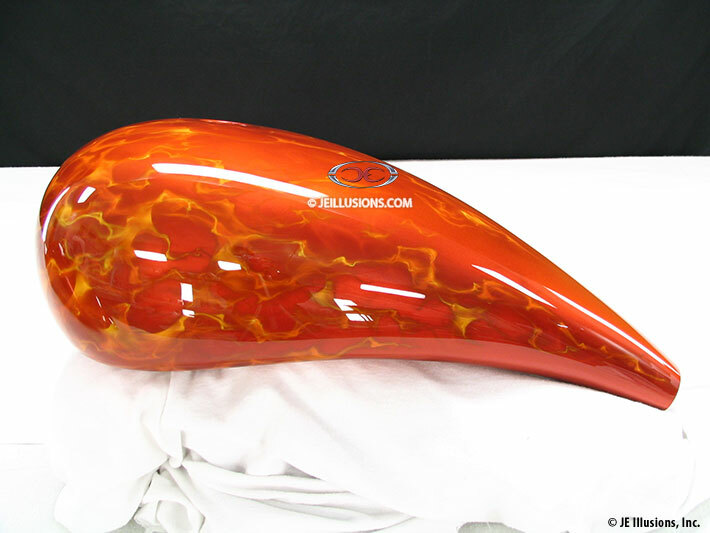 This gallery also has images of flames and lightning design side-by-side for comparison. 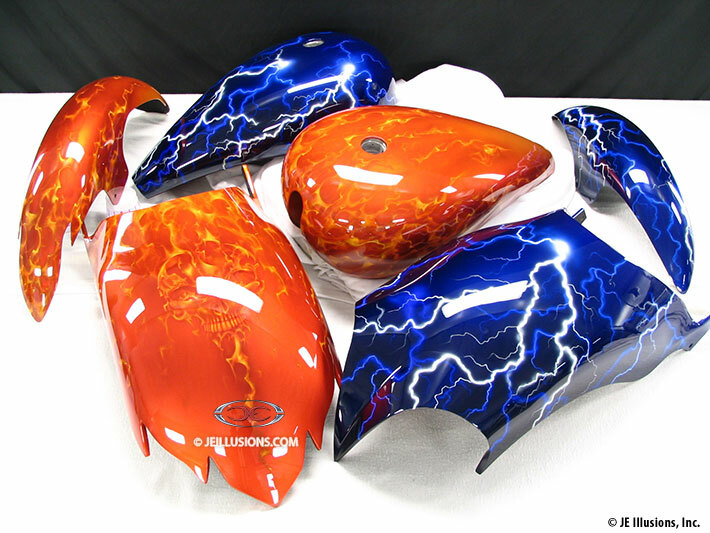 Lightning design is from another paint job featured in the Gallery section.